Samsung has rolled out the new Samsung Galaxy Tab 7.7 packed with amazing features. The Tablet is powered by 1.4 GHz ARM Cortex dual core processor and is running on Android v3.2 OS. It weighs only 335 grams. This tablet is compact, with almost half the weight and size of an Ipod. The design is impressive with complete black front and the metal back that is brushed. 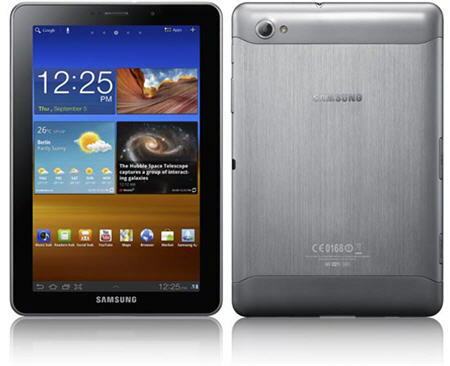 Samsung Galaxy Tab 7.7 is equipped with 7.7 inch multi touchscreen display with 800*1280p resolution. It is Super AMOLED plus panel. 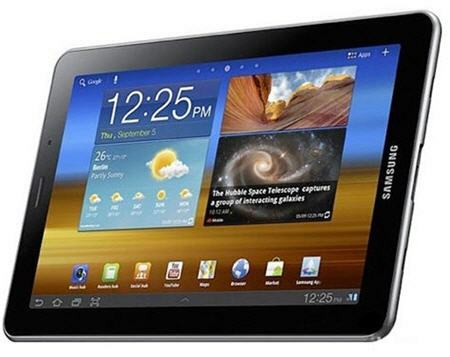 Samsung Galaxy Tab 7.7 sports accelerometer for UI auto rotate, multi-touch input method, three axis gyro sensor and TouchWiz UX UI. It features 3.15 megapixels on the rear side as well as 2.0 megapixel on the front side for video conferencing. The camera comes with LED flash, geo-tagging and auto focus. It features image/video editor and 800*1280 pixels. The 3.5 mm headphone jack port is on the top and on the left side is microSD card slot. It lacks HDMI. Power and volume button is on the right with camera on the back and webcam in the front. There are also integrated social networking services and on device encryption. Weighs lighter, only 335 grams. If you are not fond of TouchWiz interface as in Galaxy Tab 10.2 then you might not like the same software on this tablet. 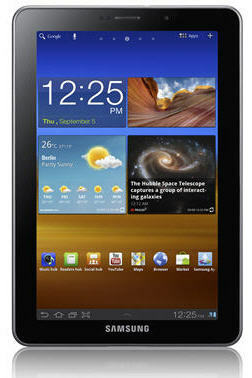 Samsung Galaxy Tab 7.7 is expected to be released in December 2011. There is no information about the price yet.